ARE YOU ONE OF THE ‘100 VERY BEST UK AND INDIAN TECH COMPANIES’ ATTENDING THE INDIA-UK FUTURE TECH FESTIVAL? Liverpool City Region is a leading driving force of the UK economy and presents vast opportunities for Indian or British tech companies to grow their business. From the 11-12 December, we will be sending a team of experts to this year’s event to talk to you about your business and how the Liverpool City Region works to help you achieve your goals. You can book a meeting with us by contacting [email protected] but for now, read a little more about why the Liverpool City Region is an ideal place to take your tech business to a whole new level. As a premier UK investment destination, Liverpool City region enjoys being part of the fifth largest economy in the world, with access to 65 million potential consumers. The UK Attracts more foreign investment than any other European country and is the easiest European country to do business with, according to the World Bank. As part of the UK, Liverpool City Region also benefits from the lowest corporation tax in the G20, lower labour costs than businesses in Germany, France and Italy and a 230 % tax relief on research and development costs. Liverpool City Region is one of the UK’s largest economic areas, with a £2.8 BN economy and has a one-hour workforce catchment more than 6 million people. The city region attracts more than 90,000 students each year, producing 30,000 quality graduates and the most digitally skilled workforce in the UK. Liverpool City Region is also home to the very latest data-centric and cognitive computing technologies and is one of the fastest growing digital clusters in the UK. The city region’s unique convergence of major assets in science, technology, manufacturing and digital innovation is creating an exciting melting pot of ideas and ground-breaking solutions, that are driving the global tech sector forward. Liverpool also has Centres of Excellence that facilitate powerful, productive collaborations between university academics and industry experts from around the world. 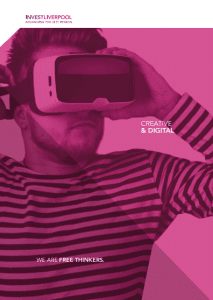 To out more about our credentials and how we can help your business take a look visit our Creative, Digital and Tech Investment landing page or download our latest Creative, Digital and Tech brochure. Along with attending the wider India-UK FutureTech Festival, our India delegation will work hard to maximise the number of tech businesses that we connect by attending three trade missions, spread across New Delhi, Mumbai and Bengaluru. Here we will be seeking potential customers and partners in AR/VR, VFX, post production and content creation and discover more about India’s powerhouse createch industry. This trade mission will enable us to showcase Liverpool City Region’s healthcare tech advances whilst seeking partnerships and buyers from India’s high-end healthcare diagnostic services. Enabling further connections with India’s leading and emerging tech companies, this trade mission will also identify potential partnerships and best practice in the global construction and development sector. Held at the Imperial Hotel, New Delhi on 12 December 2018, The India-UK FutureTech Festival is a high-impact festival of business engagement and tech thought-leadership. Attracting more than 100 of the very best UK and Indian tech companies, the event will explore the global business potential of fundamental tech developments including immersive tech, future healthcare, future transport, fintech, createch, future data and cyber Security. Liverpool City Region is a leading UK investment location and home to globally significant tech industry and talented workforce. 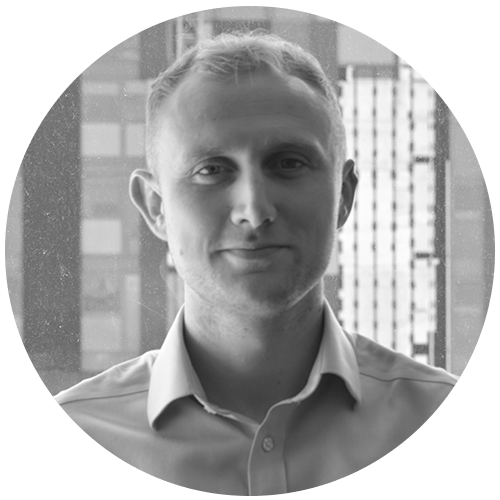 If you are seeking to expand in Europe or the UK you need to talk to one of our team members. Email [email protected] or call +44 (0)151 600 2930 to book an appointment. This year, for the first time, Liverpool MIPIM partners have been able to sign-up and sponsor not just MIPIM UK and MIPIM Cannes, but an entire year of Liverpool MIPIM activity.